With the rise of democracies after World War II and the Fall of the Wall, Americans anticipated freedom flourishing around the globe. Of late, however, autocrats seem to be on the march, while democrats seem to be on the run. Books on today’s risks to democracy, including Madeleine Albright’s Fascism: A Warning, now flood bookstores. Time magazine awarded its 2018 “Persons of the Year” to those upholding truth when challenged by dictators. This three-day symposium will examine the nature of autocrats and the barriers against tyranny – through the genius of William Shakespeare and our Founding Fathers. By way of readings, lecture, roundtable discussion, and scenes from Richard III, we will examine the history of tyranny, both past and present, and explore Shakespeare’s fascinating treatment of a tyrant to help better understand how authoritarian regimes operate. 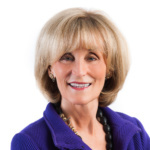 Carol Adelman is President of Movers & Shakespeares, which teaches executive leadership through Shakespeare plays to corporations, universities, government agencies and non-profits, including the Aspen Institute. She serves on the board of Freedom House, which measures political and civil freedom in every country around the world, and promotes programs to confront authoritarian regimes and spread freedom. As a Presidential appointee in the George H.W. Bush Administration, she directed foreign aid to promote free elections and civic institutions in Asia, the Middle East, and Eastern Europe when the Wall fell. Carol is a Visiting Professor at Indiana University’s School of Philanthropy, and Director of the Center for Global Prosperity at the Hudson Institute. She holds both masters and doctorate degrees from Johns Hopkins University, and a master’s degree from the Georgetown University School of Foreign Service. She has published in Foreign Affairs, the New York Times, Washington Post, and the Wall Street Journal, among other publications. Carol serves on other non-profit boards, including the American Shakespeare Center and Capital Partners for Education. She is a member of the Council on Foreign Relations and the Atlantic Council. Ken Adelman is Vice President of Movers & Shakespeares. He began teaching Shakespeare in 1977 at Georgetown University, and subsequently taught both Shakespeare and national security studies at Johns Hopkins, Georgetown, and George Washington Universities. He is co-author of Shakespeare in Charge: The Bard’s Guide to Leading and Succeeding on the Business Stage. During the Reagan Administration, Ken was a U.S. Ambassador to the United Nations, and Arms Control Director, accompanying President Ronald Reagan on his superpower summits with Soviet leader Mikhail Gorbachev. He is author of six books, including the acclaimed Reagan at Reykjavik: Forty-Eight Hours that Ended the Cold War about the summit in 1986, which is now being turned into a feature film. While he and Carol were living in Africa from 1972 to 1975, he was translator for Muhammad Ali during “The Rumble in the Jungle” in Zaire. Ken received a masters and a doctorate from Georgetown University, and served in government for more than a dozen years. He has written hundreds of articles on U.S. and global affairs. 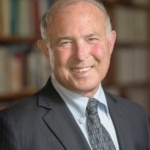 Jack Rakove is the William Robertson Coe Professor of History and American Studies, and Professor of Political Science and (by courtesy) Law at Stanford University, where he has taught since 1980. He was educated at Haverford College, where he earned a B.A. in History in 1968, the University of Edinburgh, and Harvard, where he received his Ph.D. in History in 1975 and studied under Bernard Bailyn. Before coming to Stanford, he taught at Colgate University from 1975-1980. At Stanford, he teaches courses in early American history and the origins and interpretation of the Constitution. He is the author of seven books published from 1979-2017. 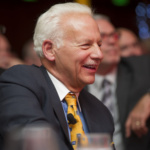 Rakove has contributed chapters to numerous scholarly collections, written essays for various journals, and published numerous op-ed articles in such newspapers as the Los Angeles Times, Chicago Tribune, Washington Post, San Francisco Chronicle, and New York Times. In November 1998 he testified at the House of Representatives Judiciary Committee hearings on the Background and History of Impeachment. He has served as a consultant and expert witness in several cases involving Indian land claims in New York State dating to the 1780s, and has written four amicus curiae briefs for the Supreme Court, including one cited by Justice Stevens in D.C. v. Heller (2008), the leading Second Amendment case. In 2003-2004, Rakove was president of the Society for the History of the Early American Republic. He has also served on the Council of the Omohundro Institute of Early American History and Culture in Williamsburg.